Mackenzie Branham died April 27, 2006 at the age of 8. Her death was ruled an arson homicide. Mackenzie’s body was exhumed Tuesday for additional DNA testing and re-interred the same day. Mackenzie’s father, Donald Branham, said he recently learned of new information in the 11-year-old unsolved crime. 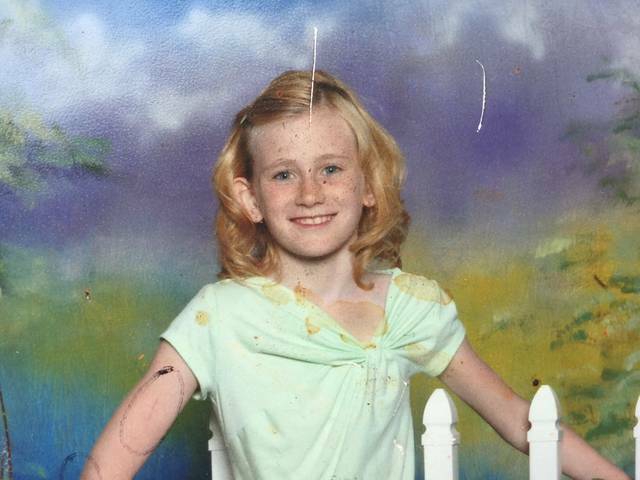 New information is being released by the father of Mackenzie Branham, the 8-year-old girl who died in an unsolved arson homicide in Jeffersonville in 2006. Donald Branham has been searching for answers to his daughter’s death for 11 years. After 11 years of no new information on the cause of the fire, Branham said he heard in May that the clothes Mackenzie had been wearing the night of the fire were destroyed just three months into the investigation on Aug. 15, 2006, but a report was never filed. When Branham learned in May of 2017 that the clothes had been destroyed back in 2006, he organized a protest for May 30 at the Fayette County Sheriff’s Office annex building. Branham said that during the protest in Washington Court House May 30, a local resident came to the protest and asked to see the reports from the coroner’s office that were filed concerning Mackenzie’s death. After reviewing the files, the woman told Branham there was much more to the story — including an additional report from the coroner that had never been filed. Branham said he doesn’t know why the additional coroner’s report was never filed or why someone is just now coming forward with the report. He also said that at this time he does not wish to release the name of the person who gave him a copy of the report, citing privacy reasons as the investigation is still ongoing, but said this person has been an upstanding citizen working in the community for a long time. And even though it has been 11 years since his daughter’s tragic death, Branham said he is not surprised that this old coroner’s report has surfaced. 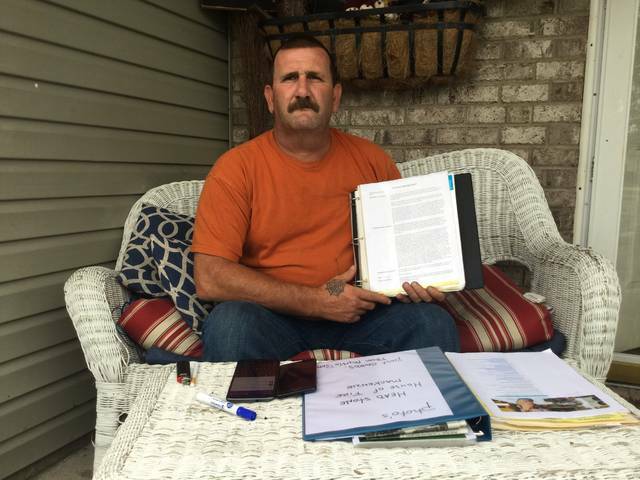 “I did know there was another report out there because Dr. Mesker (current Fayette County coroner) mentioned to me a few years ago that there were some things missing out of Mackenzie’s file,” said Branham. According to Branham, the Fayette County Coroner who responded to the scene of the fire at the time of Mackenzie’s death was Dr. Albert G. Gay, who has since passed away. 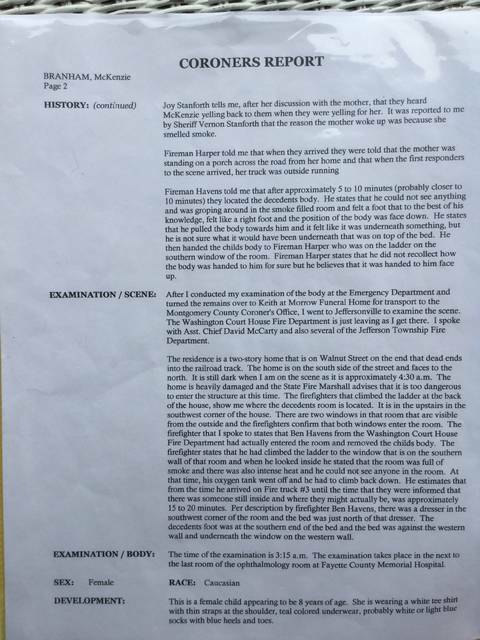 Branham said the newly-surfaced report is Dr. Gay’s own notes from the scene of the fire April 27, 2006 and contains new information about what happened to Mackenzie. Branham said that the report from the coroner that he has relied on for information for 11 years provides a description of Mackenzie’s body. 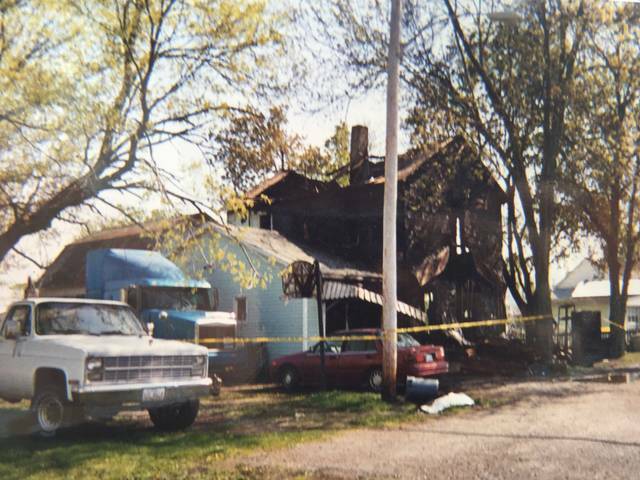 Branham said the newly-surfaced coroner’s report includes descriptions of the crime scene and statements from the firemen and others who responded to the fire immediately. “What’s more important is the crime scene. You’re talking to witnesses down there, you’re supposed to do certain things at the crime scene,” said Branham. In this newly-surfaced coroner’s report, Branham said Dr. Gay wrote a detailed description of the crime scene with some new information that Branham said he had never heard before about the involvement of the child’s mother, Mary Ann Potter Branham, and the mother’s boyfriend. Branham said he and Mackenzie’s mother were separated and on the night of the fire, Mackenzie was at the mother’s home on Walnut Street in Jeffersonville. According to Branham, the new information in the surfaced coroner’s report states that the mother and boyfriend’s red pick-up truck, in addition to sitting in front of the burning house with its doors open, was running. This was news to Branham. Branham said this new report is something that he thinks will help to solve the ongoing case. 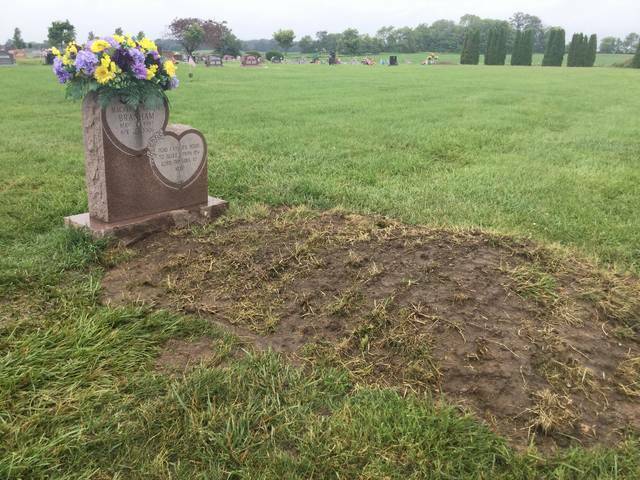 Mackenzie Branham’s body was exhumed earlier this week by officials working on the case. Branham said more testing will be conducted now with the latest technology. The Fayette County Prosecutor’s Office declined to comment on the ongoing case. A graveside memorial service will be held in honor of Mackenzie Branham Saturday afternoon at 5 p.m. at Fairview Cemetery in Jeffersonville. Branham said he is inviting the entire community to come out to the event to meet him and to give thanks for all of the help that has been given to him during the investigation. “Daisies were her favorite flowers. Her favorite colors were yellow and purple. She loved butterflies,” said Branham. https://www.recordherald.com/wp-content/uploads/sites/27/2017/06/web1_IMG_9466.jpgMackenzie Branham died April 27, 2006 at the age of 8.
https://www.recordherald.com/wp-content/uploads/sites/27/2017/06/web1_IMG_9461.jpgHer death was ruled an arson homicide. https://www.recordherald.com/wp-content/uploads/sites/27/2017/06/web1_IMG_9467.jpgMackenzie’s body was exhumed Tuesday for additional DNA testing and re-interred the same day.